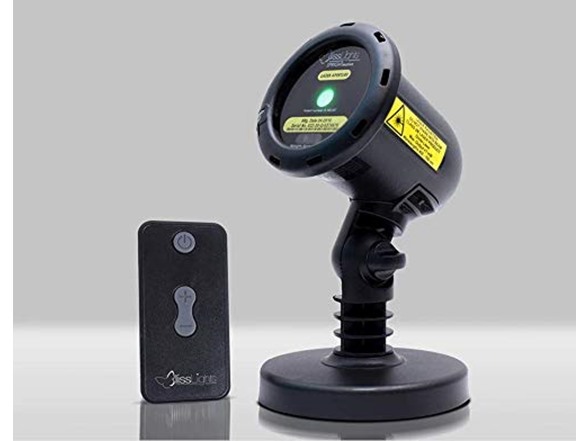 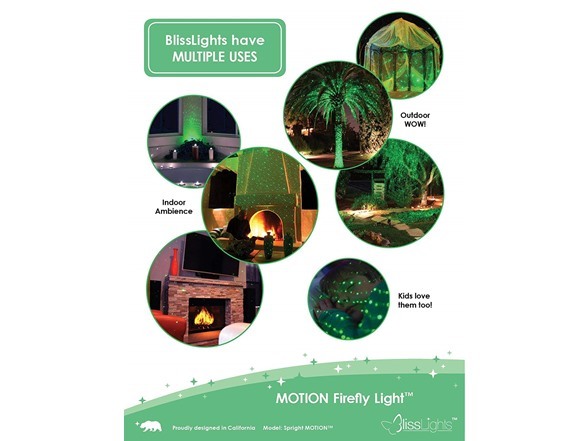 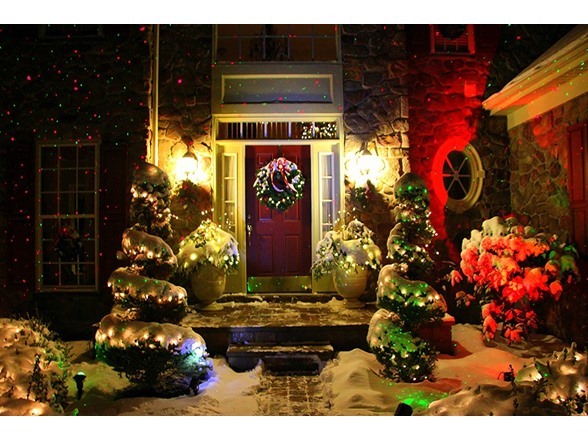 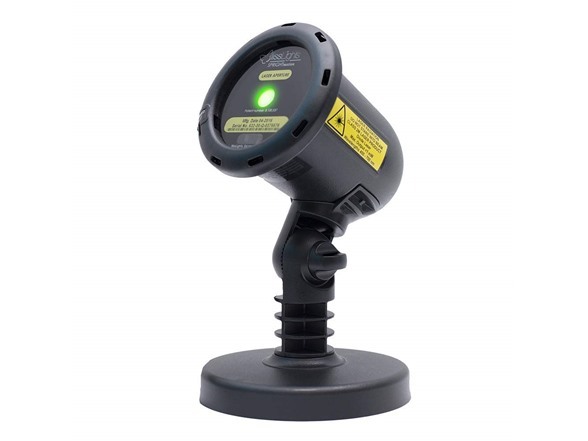 The all-in-one BlissLights MOTION will transform your home, club, bar, or party venue with the magic of thousands of moving pinpoints of light that dance with an ethereal, mesmerizing energy evoking the motion of fireflies. 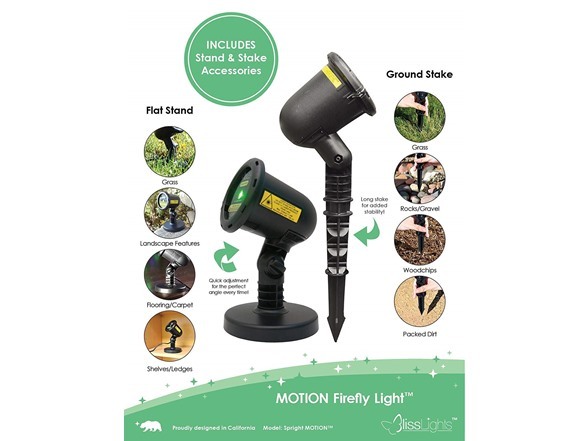 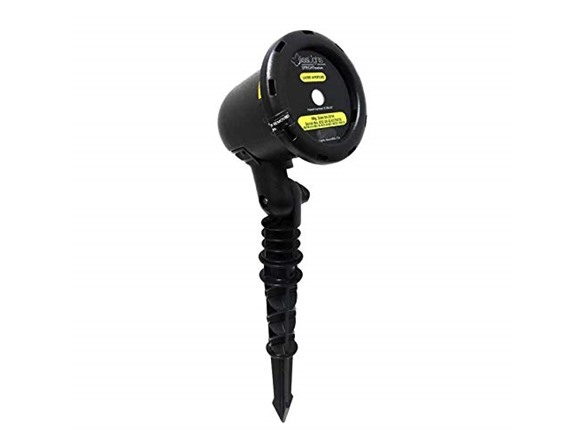 This is a complete set including 1 MOTION with built-in timer, 1 remote control with 2 AA batteries, 1 transformer, 1 stand, and 1 ground stake for a sturdy, secure hold. 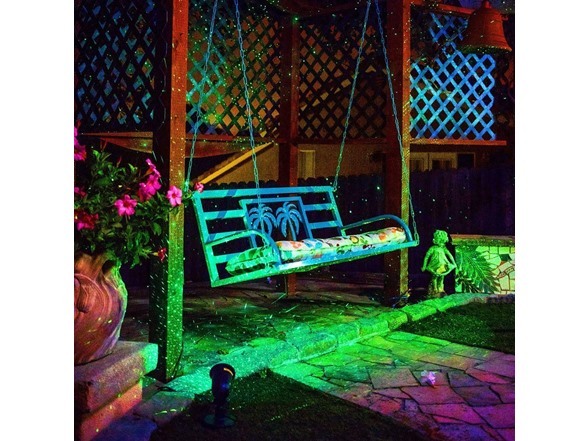 It’s everything you need for stress-free installation in your backyard, front yard, or indoors, to get glowing right away!